Large format 18x24 inch posters offset-printed in full colour. Ideal for announcing your concert, new album, or film release. 11x17 inch posters printed in full colour. Ideal for announcing your concert, new album, or film release. 11x17 inch posters printed in full colour both sides. Large-format posters for trade shows or exhibits. 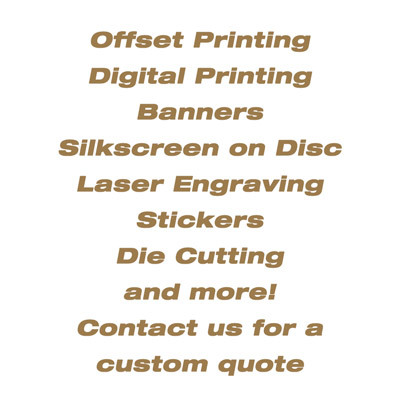 Please contact us for a customized quote. Full colour posters printed on glossy 100lb paper.